Alan Loehle received an M.F.A. in painting from the University of Arizona in 1979. He has received grants for painting from the Pollock-Krasner Foundation, the Elizabeth Foundation for the Arts, the Ludwig Vogelstein Foundation, and a Fellowship in Painting from The National Endowment for the Arts, among others. 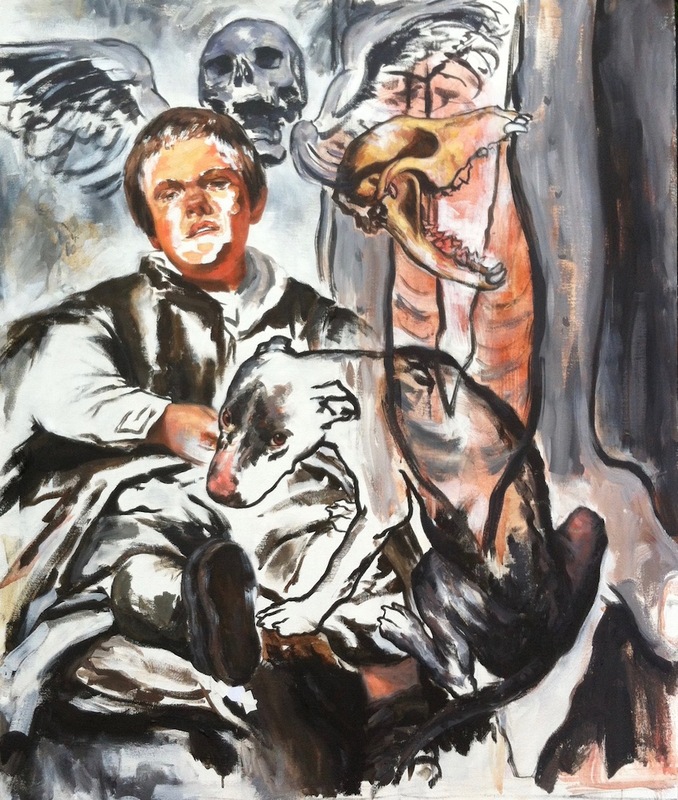 In 2007, Loehle received a Fellowship for Painting from the John Simon Guggenheim Memorial Foundation. He lives and works in Atlanta and is Professor of Art and Division Chair at Oglethorpe University. His work is in the permanent collection of the High Museum of Art, MOCA GA, the Reading Public Museum, and the Arkansas Arts Center, among others. Dr. Jason Wirth, On the True Sense of Art: A Critical Companion to the Transfigurements of John Sallis. Essay. Victoria Webb, Furious Dreams. Interview. Catherine Fox, Atlanta Journal-Constitution. Review. Dr. Jason Wirth, The Conspiracy of Life. Introduction. Cathy Byrd, Art Papers Magazine. Review. Felicia Feaster, Creative Loafing. Review. Paris Review. "Alan Loehle: Six Dogs."